In a series of cross-cultural investigations of word meaning, Cliff Goddard and Anna Wierzbicka examine key expressions from different domains of the lexicon - concrete, abstract, physical, sensory, emotional, and social. They focus on complex and culturally important words in a range of languages that includes English, Russian, Polish, French, Warlpiri and Malay. Some are basic like men, women, and children or abstract nouns like trauma and violence; others describe qualities such as hot, hard, and rough, emotions like happiness and sadness, or feelings like pain. 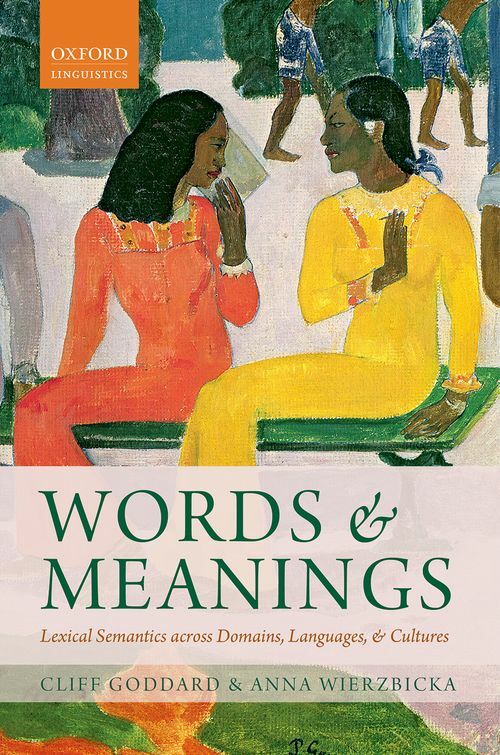 This fascinating book is for everyone interested in the relations between meaning, culture, ideas, and words. They ground their discussions in real examples from different cultures and draw on work ranging from Leibniz, Locke, and Bentham, to popular works such as autobiographies and memoirs, and the Dalai Lama on happiness. The book opens with a review of the neglected status of lexical semantics in linguistics. The authors consider a range of analytical issues including lexical polysemy, semantic change, the relationship between lexical and grammatical semantics, and the concepts of semantic molecules and templates. Their fascinating book is for everyone interested in the relations between meaning, culture, ideas, and words. Cliff Goddard is Professor of Linguistics at Griffith University, Brisbane. His books include Semantic Analysis (OUP 1998, 2nd edn 2011), Cross-Linguistic Semantics (ed., 2008, John Benjamins), and The Languages of East and Southeast Asia (2005, OUP). ; Anna Wierzbicka is Professor of Linguistics at Australian National University. Her many books include Semantics: Primes and Universals (OUP 1996), Emotions across Languages and Cultures (CUP 1999), and Experience, Evidence & Sense: The hidden cultural legacy of English (OUP 2010). Professors Goddard and Wierzbicka are co-editors of two collective volumes: Semantic and Lexical Universals and Meaning and Universal Grammar (John Benjamins, 1994 and 2002).